Trembling Aspen is a small deciduous tree with a broad crown. Rounded leaves, bronze when young, tremble in a light breeze and turn yellow in autumn. Male trees have woolly grey catkins in the spring. 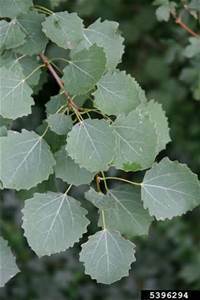 Populus tremula grows on pretty much any soil type in the UK and is often seen thriving in wet soils.